How do I use Happy PMS? – see information below. Q: How do I know if I should use progesterone? A: If you have PMS symptoms. PMS Symptoms are those which occur consistently a week or 10 days before the period and stop with or shortly thereafter. If you have Estrogen Dominance symptoms. These symptoms are water retention, breast swelling, fibrocystic breasts, uterine fibroids, loss of libido, mood swings, depression, craving for sweets, and weight gain, fat deposited at hips and thighs. If you have had a hysterectomy, oopherectomy (removal of ovaries), or menopausal symptoms. Many women experience hot flashes following a premenopausal hysterectomy and in the beginning of the natural onset of menopause. Natural progesterone cream is effective for relieving the symptoms of hot flashes. Most women have reported a complete cessation of flushing within 3 to 8 weeks. After menopause, estrogen continues to be produced from the fat cells; however, progesterone production virtually ends. Osteoporosis. Women over 50 years of age should use natural progesterone cream. Happy PMS may help to prevent osteoporosis. Q: Where should I apply natural progesterone? A: Natural Progesterone in a moisturizing cream can be applied to the face, chest, breasts, inner arms, or soles of feet. The cream is readily absorbed and leaves no trace after a few minutes. During absorption the cream bypasses the liver and goes to specific receptor sites where progesterone is needed. Q: What Exactly is natural progesterone and how does it differ from synthetic? A: Natural Progesterone, a cholesterol derivative, matches exactly the chemical formulation of the body's own progesterone and thus causes no side effects. Manufacturers of synthetic progesterone alter the chemical makeup of progesterone in order to create progestins. Progestins in their altered molecular structure may cause many side effects, such as birth defects or abortion, fluid retention, epilepsy, migraine, asthma, cardiac, or kidney disfunction and depression. Q: Should estrogen be used without progesterone? A: Definitely not. It is very important that natural progesterone be used with any form of estrogen. Estrogen without progesterone can cause endometrial and vaginal cancers. Estrogen blocks thyroid production and causes water retention; and it can cause fibrocystic breast disease, fibroid tumors and ovaria cysts. A: Yes! Natural progesterone is a cancer preventive and is perfectly safe to use. A: Yes! Additional benefits are inproved brain function, diminished muscular aches and pains, improvement of skin problems including acne, seborrhea, rosacea, psoriasis, keratoses, and improved sleep patterns. A: Yes! Men (usually over 45) can use progesterone. It is the precursor to testosterone, which stimulates new bone formation. Also, it can increase libido. How do I use Happy PMS? Please Note: One inch strip of cream from the pump equals ¼ tsp. Use ¼ tsp. twice a day. After three months, reduce to 1/8 tsp. twice a day. Do not use the first week of each month to give receptors a break. Use ¼ tsp twice a day after ovulation (usually 12 or 14 days from the first day of menstrual flow) through day 26 of your cycle. You do not use natural progesterone while menstruating. However, if you experience menstrual cramps, try rubbing a small amount of cream on the lower abdomen. For migraines, rub cream on the back of your neck. Use ¼ to ½ tsp. of cream twice a day beginning on the 8 th day of your cycle until the 26 th day. After 6 months, use ¼ tsp. twice a day after ovulation (usually day 12 or 14) through day 26. All contents above are for informational purposes only. Consult your health practitioner for medical advice. The most effective method of restoring physiological levels of natural progesterone is by transdermal (via the skin) cream. 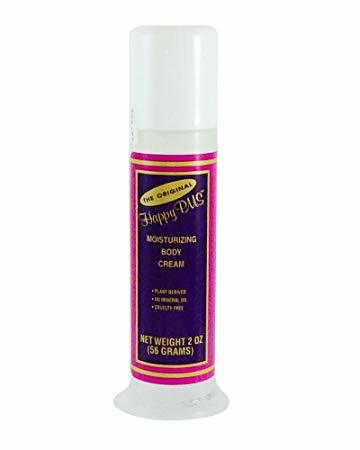 Happy PMS Body Cream is a technologically advanced, light, greaseless moisturizing formulation of natural progesterone in a hypoallergenic, non-comedogenic (won't clog pores), vitamin E base that is free of odor and fragrance.